Once upon a time, people positioned themselves on the globe with maps you could fold up. 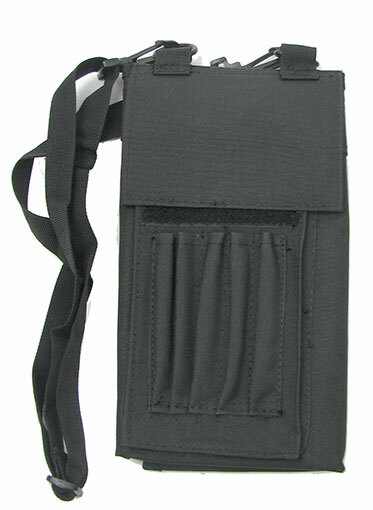 If that warms the cockles of your orienteering heart, get yourself this black canvas map case. Measures 20” x 16-1/2” with a clear window on one side (for rainy day wandering) and a flap with (5) pencil holders on the back. 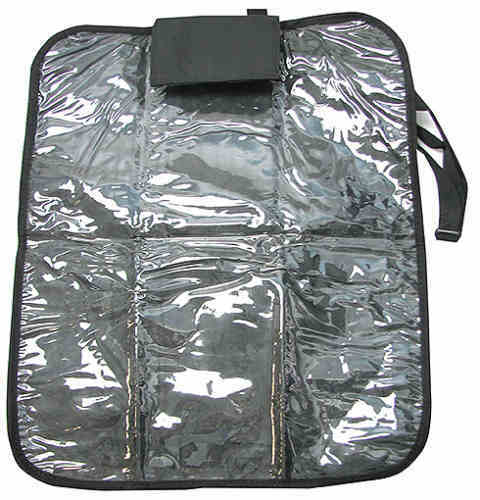 Folds to an easy-to-carry 11” long x 6” wide with an adjustable and detachable 42” shoulder strap. Lots of hook-n-loop strips keep it together. Best of all, if you get lost you can do your own recalculating. 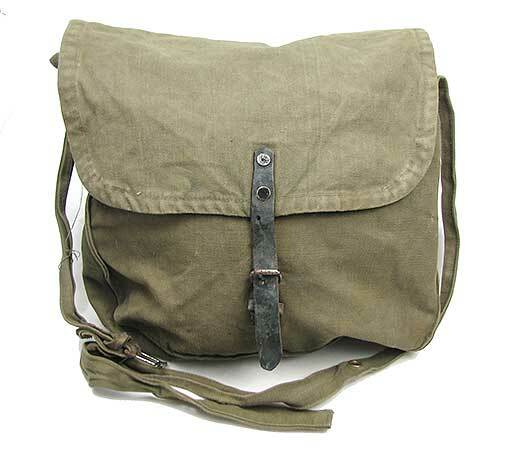 We’re semi-gaga over these lightly used Belgian Army Engineers’ bags because we don’t hardly ever get square bags. 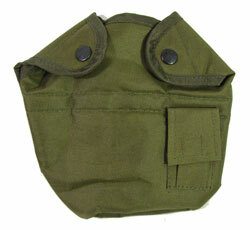 This one is 11-1/2” tall x 5-1/2” square (loaf of bread-sized) in heavy olive drab canvas. Top has leather-reinforced side panels and closes with a brass and leather tab/slot. 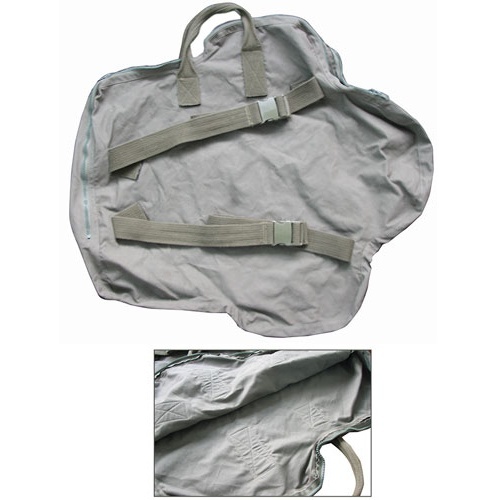 Has a 4-foot adjustable strap with a lanyard clip, plus (3) C-rings on the back. Inside has (2) 8-1/2” deep side pockets. You’ll need a map case. From the pre-smartphone world, where military maps still live. These are 11" x 6-1/2" folded, and they open to a clear 16-1/2" x 20" window with a zippered top on one side and a 7" x 4-1/2" x 5/8" flapped pocket with (5) pen holders on it. 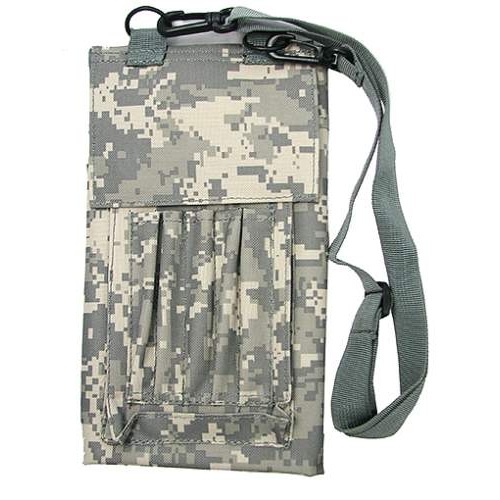 Close with hook-n-loop fasteners and have a 42” long adjustable and removable shoulder strap. You pick olive digital camo or desert digital camo versions. 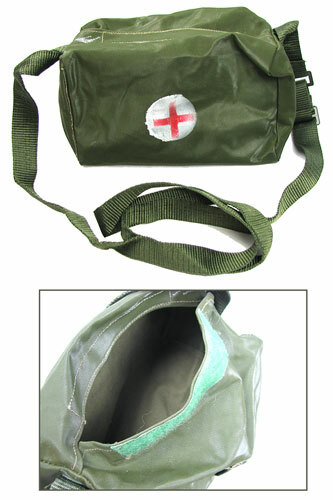 You don’t have to be a medic to appreciate this rubberized medic’s bag from, we suspect but aren’t posilutely sure, Uncle Sam. 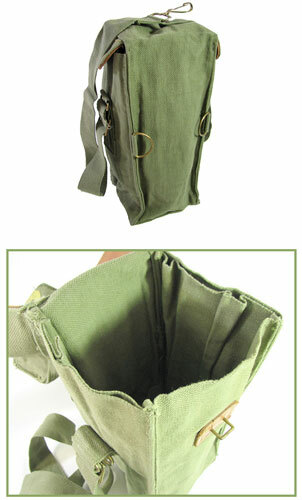 In deep olive drab, 8" x 5" x 4-3/4", with a hook-and-loop closure on top, an adjustable 64” shoulder strap and 1-3/8” belt loops on two sides. We like it for toting lunch or anything else you need to keep dry (your powder?) in the woods. How Big Is Your Grenade? 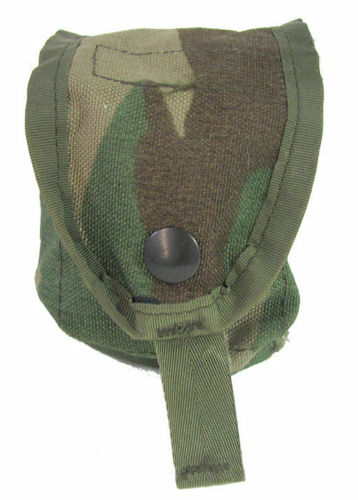 The manufacturer calls this military-style canvas holder a grenade pouch, but it looks like they had mighty small grenades in mind. On the other hand, it’s a pouch, so it doesn’t know what it’s carrying. 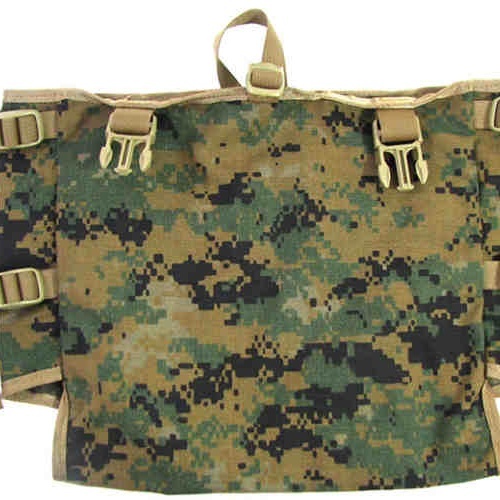 Measures 4-1/4” x 3-3/8” x 2” with a 3-1/2” top and a molle-buckled strap around it, plus a pair of snapped belt loops in the back. In digital camo. 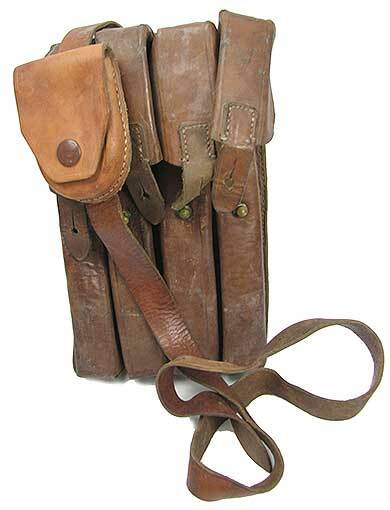 Before there was olive drab canvas there was genuine leather military equipment, like these 4-slot German military magazine pouches. Measure 10-1/4" x 6-1/4" x 1-3/4" with a quartet of compartments at approx 1-1/4" x 1-3/4" x 8" deep with flip-down covers that fasten over brass studs. 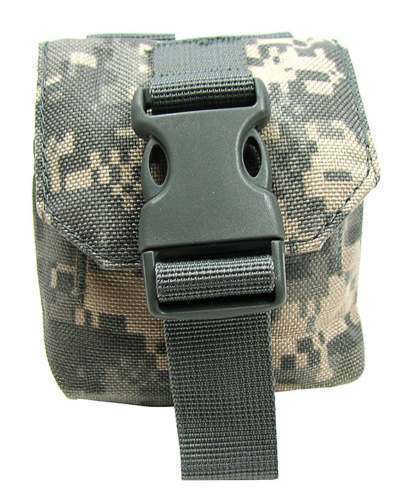 Has an angle-mounted 60” buckled strap with a 4" x 2-1/2" x 7/8" flapped pouch sliding on it. You’d need to roll your magazines pretty tight to fit in the slots, but they’d hold any number of Slim Jims.